PDP accuses Party’s former ministers of running Nigeria aground – Royal Times of Nigeria. The national leadership of the Peoples Democratic Party has accused former ministers of the party of running Nigeria aground. 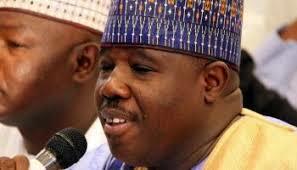 The National Chairman of the party, Senator Ali-Modu Sheriff, who spoke on behalf of the party in Abuja on Tuesday, also called on the former ministers to tell Nigerians the source of their wealth. Sheriff said that it is unfortunate that the former ministers, whom he said were given the opportunity of running the country, ended adding to its woes. The former governor of Borno State, who was reacting to the former ministers’ meeting in Abuja on Monday, said that the party’s constitution does not recognize the umbrella under which the former ministers gathered. At the meeting, the former ministers also backed Senator Ahmed Makarfi’s faction of the party, thereby incurring the wrath of the party’s national chairman. Sheriff however said that the former ministers have no constitutional backing to hold the meeting, adding that the gathering is unknown to the party. 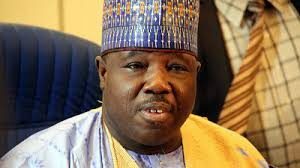 In response, the former ministers said Sheriff should be ignored, adding that the former governor ‘does not represent the PDP”. A former Minister of National Planning, Prof Suleiman Abubakar, while reacting to the comments by Sheriff, wondered how the former governor would build the factionalized party with the way he spoke.